It is known that differences in CRF between individuals are partly explained by differences in frequency and intensity of physical activity. 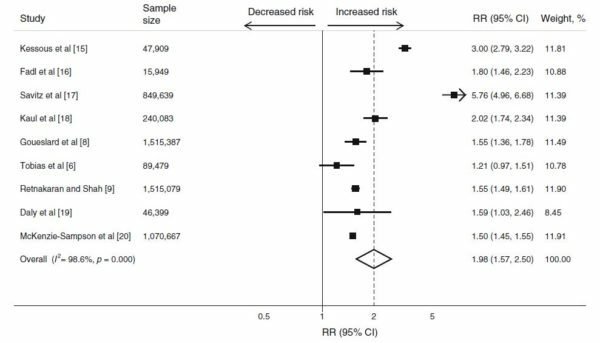 Further, recent studies have shown that high levels of ST were associated with a lower CRF. Nonetheless, an estimated 10 to 50% of CRF is explained by factors other than physical activity, including genetic differences and behavioural or environmental elements. 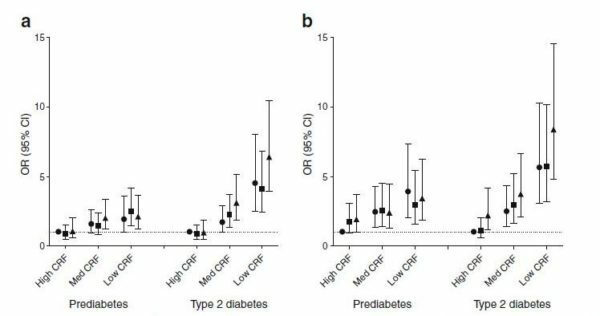 Similarly, all subgroups with medium or low CRF had higher odds for the metabolic syndrome, prediabetes and type 2 diabetes, irrespective of ST. 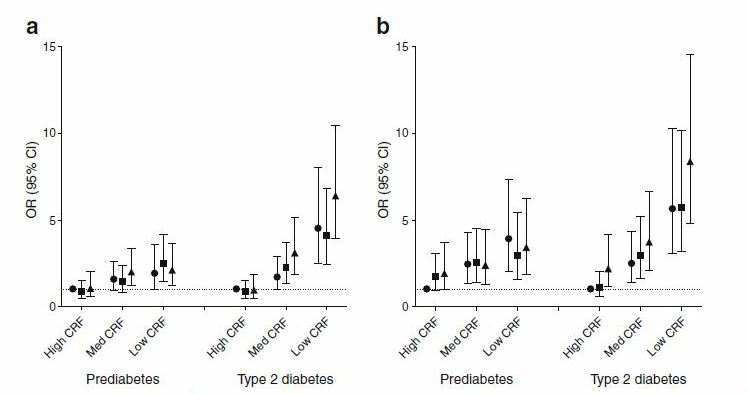 Even in those with high CRF, high ST was associated with a trebling of risk of metabolic syndrome and a doubling of risk of type 2 diabetes, suggesting that high CRF may not be enough to ‘counteract’ the poor health outcomes associated with high ST. This adds to the accumulating evidence that reducing a person’s daily amount of ST could be an important part in improving their cardiometabolic health.